IPF Approved. New release, the Titan 3.0 Yellow Jackets Facelift. Now with Sublimated Matrix Field design. IPF Approved. Be seen, heard and noticed like the Texan Yellow Jacket! 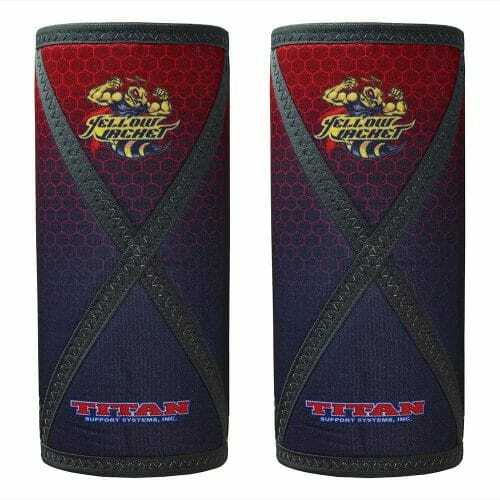 Modeled on the aggressive Texan wasp, our knee sleeves are just as durable and effective at striking fear into your opponents!